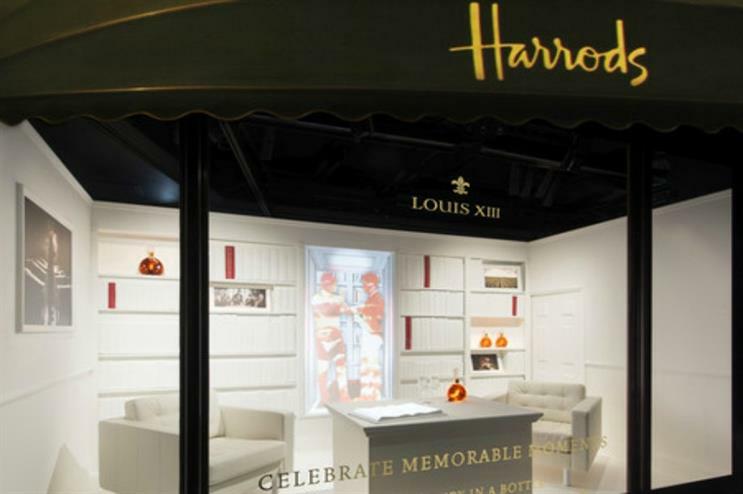 Cognac brand Louis XIII has partnered with retailer Harrods to launch its first pop-up boutique, aiming to immerse visitors in the world of the brand and create 'memorable life moments'. Having launched on 30 March, the concept store will run until 25 April and features an installation in the store's windows. Each unique window of the pop-up features scenes inspired by precious life moments brought to life by 3D mapping. Ludovic du Plessis, global executive director of Louis XIII said: "We are excited to once again work with the world's most esteemed department store, Harrods, on this pop-up which brings the entire Louis XIII collection under one roof. We could not think of a better partner to present Louis XIII as the ultimate instrument to celebrate the most memorable moments in life." Nick Fleming, spirits buyer at Harrods added: "The pop-up further demonstrates the long-standing relationship between Harrods and LOUIS XIII Cognac. This innovative boutique offers the ultimate Louis XIII retail experience in an environment designed to accommodate Harrods discerning customers." Harrods launched its winter sale with a display of flags and a performance by top-tapping butlers. The store also launched Pop-Up Flowers, a campaign which involved a scent-emitting bus stop and interactive flower wall.